In addition to the Center for Architecture Sarasota serving as a place for the community to learn about architecture, we also provide a learning platform for the University of Florida graduate studies in architecture. 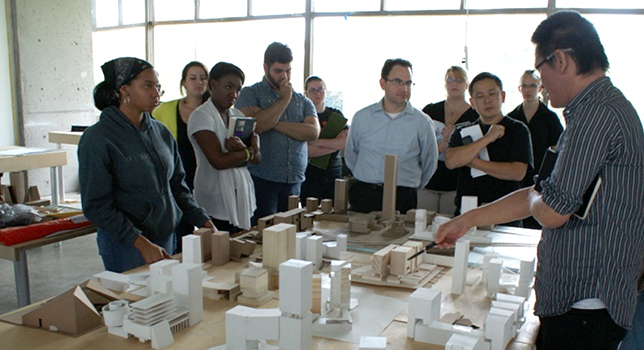 In August 2015, the UF School of Architecture launched CityLab Sarasota, a Master of Architecture degree program focused on issues of emerging technology, culture and climate responsive architecture. UF CityLab Sarasota provides a unique opportunity to study architecture, urban theory and explore emergent design methodologies rooted in the Sarasota School of Architecture. This initiative focuses on the exploration of architectural ideas within the context of coastal urbanism and engages with the City of Sarasota and Sarasota County as a learning laboratory. Since 2013, 9 scholarships from CFAS have been awarded to UF graduate students in Architecture.